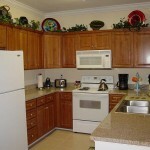 The Ocean Villa Condos are located in the heart of Panama City Beach, FL with easy access to just about everything. Ocean Villa offers a 3 level parking garage across the street attached with an enclosed walkover for easy access. Also at Ocean Villa in PCB are an indoor / outdoor pool, outdoor pool, large hot tub, outdoor grill area, sauna, steam room, and small exercise room. While Splash is better suited for families with young children, Ocean Villa is more geared to those without children as the various amenities are fantastic for adult crowds. These condos are among the best-kept condos in Panama City Beach, Florida. They have a strict no pets/no smoking policy, which keeps the condos in great shape and continuously receive great reviews! We can absolutely recommend the following Ocean Villa Resort vacation rentals for your next vacation to Panama City Beach! Rent 6 days, get the 7th free! 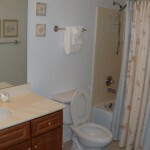 If you would like to see more details about these condos from their owners’ website, you can visit them at http://pcbcr.net/oceanvilla.htm or you can find them on facebook at http://www.facebook.com/PanamaCityBeachCondoRentals . Just be sure to tell them “Inside PCB” sent you to get your special offers!